Our customers increase their efficiencies when they allow Hampel Oil to manage their fuel and lubricant needs. Hampel Oil partners with their customers to bring them the most reliable and highest quality premium products to increase their efficiencies and improve their bottom line. Hampel Oil Distributors has the experience and knowledge to service your lubricant and chemical needs. 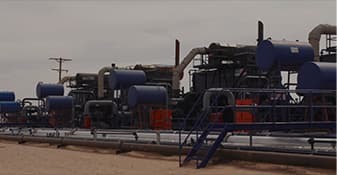 Since 2003, Hampel has been providing customers in the midstream and natural gas compression industries with best-in-class products and services. We have a complete understanding of the demands our customers face 24/7, 365 days/year and are prepared to face any challenges you may encounter. Hampel Oil is committed to being your partner and contributing to your success. For the fluids used in each and every production unit or compressor in your fleet, and for the service and equipment you require, you can rest easy. Hampel Oil Distributors has you covered! Since 1976, Hampel Oil has been providing the fuel and lubricants needed to keep the builders of America moving forward. 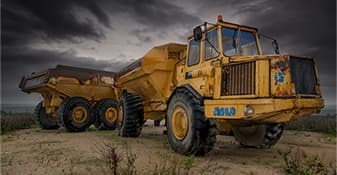 With a wide variety of lubricants available through our partner suppliers, we have the products available to meet any application for construction, mining, trucking, automotive and manufacturing. Combine that with the strength of our fuel additive, Power Diesel, and Hampel Oil becomes the one marketer you can count on to service all of your fuel and lubricant needs. With our years of experience and industry knowledge, let us help you choose the products and service that are right for your business. Hampel Oil’s beginnings can be traced directly back to the agriculture industry. 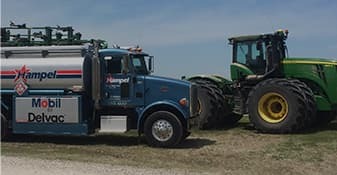 The same customers that Al Hampel serviced as an Amoco employee became the foundation for Hampel Oil, which was incorporated in 1976. Ag has remained a focus for the company as it has expanded throughout many states. With the addition of many good employees, who share the same passion for the Ag industry, we have been able to expand our knowledge of this industry and evolve with the ever-changing times. We know that farming has changed a lot over the last decade, but the same values that Amoco and Al Hampel had 50 years ago still hold true today. We offer in-house transport, tankwagon, cardlock and PowerDiesel fuel services. 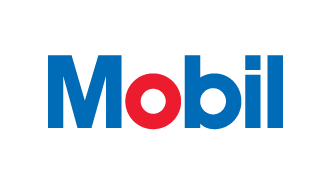 We’re a premier supplier of Exxon/Mobil lubricants and a First Source Supplier of Chevron lubricants. Our ISOCLEAN services are a comprehensive, proactive approach to achieving lubrication excellence. We are experienced in promptly and safely servicing and delivering a number of chemical products. Our DEF is formaldehyde-free, environmentally-friendly and the purest in the industry. Seth Martin, President/CEO of Appalachian Drilling Services Inc.